​Plumbing works are really hard and take time to do. As most of us hiring plumbers we don't know what is the actual work or process is happening there. Usually, plumbing system in most our houses contains two subdivisions. One intake the fresh water and the other outtake the water. The water is comes under pressure to travel to all the places around your house such as corners, upstairs, etc. A meter is attached to this to see the usage of water. There will the main shut off valve near the meter. For the emergency, you can turn off this valve instead of turn off the entire supply. So it is advisable to use the separate valve for your water supply. I hope you have had some idea about how plumping work is taken place. Here is a YouTube video which explains how you can repair or fix the whining water pipes with yourself. Plumbers need to face different types of risks in various work environments; they must overcome a lot of potential hazards. Whether you are snaking a line, drilling or soldering a pipe safety is very important for every plumber. It is always advisable to follow some safety precautions before you start the work in day to day life. When you are doing any plumbing work, it is essential to wear safety glasses because it can help you to prevent from any potential damages. Many experts advice to wear safety glasses at anytime when you are doing anything because eyes are too sensitive. Make sure your eyes are shielded if you are snaking a drain, hammering, drilling or tinkering under the sink. 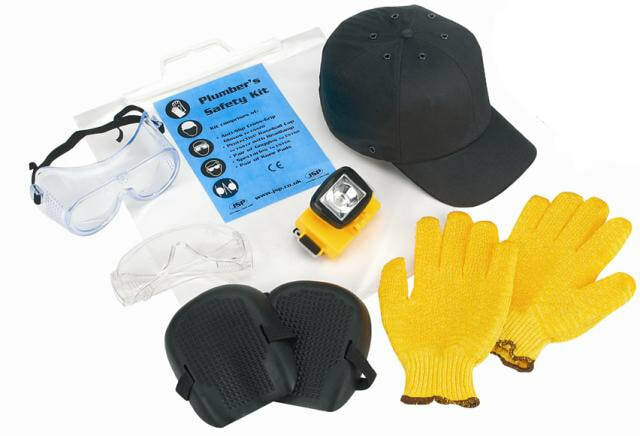 Wearing a safety gear does not cause many injuries. There is always a risk of things flying at your eyes and if you wear protective goggles you can eliminate the risk of damages. Before you get into the job, you must be very confident to use the tools and follow the manufacturer’s recommendation for use. When you are drilling the large hole pipe with a powerful drill, make sure that the cutter or a drill bit are not binding together during the operation. If it stops then the driller keeps going, at that point it will be hard for you to control the equipment. It is also essential to be cautious whenever you are using heat over the pipes especially on the wall or near any insulation. You must use the heat shield to protect yourself and the nearby combustible materials when working with a soldering torch. It is very important to keep your hands safe because it may be exposed to chemicals and other caustic materials when working with a heat or flame for pipe joining projects. You must choose heat resistant gloves, and wear latex gloves under leather gloves to protect against severe damages in drain lines. Chemicals, tools and hot water are the potential causes to your hands; it is a better choice to wear long sleeves, long pants and shoes to protect your skin from external injuries. The gloves that protect against chemicals cannot do the same for hot water so there are different designs of hand gloves, use the best quality product. If a pipe burst or a boiler breaks down you should not get panic at that situation, use your skills to correct the issue as soon as possible. Take your own time think about the things that makes your plan to go wrong and fix those ideas to move for another strategy. Choose the right tools for the job, when you are working in a wet environment it might give you a shock; so it is mandatory to plan for good equipment before starting the work. The wrong selection of tools can lead to burns, shocks, strains or other injuries. A well trained plumber use the proper tools and equipments at their workplace to avoid unusual damages; but an experienced plumber should face all the situations without getting panic. You must be confident to face any incident in your work environment because accidents may happen so you should be well prepared to get help from someone if necessary. Keep the emergency numbers like utility control numbers and poison control and place your phone nearby you to call quickly in case of any unusual situations. You must have an extra enthusiasm to finish the job faster, quicker and efficient but it must be done with proper safety mechanisms. You can ask for a help to anyone so always keep the emergency contact numbers with you. A little prevention goes a long way! Plumbing the smart and safe way starts with thinking about your next step. Don’t rush into things, do your work with a lot of safety precautions.